The Mats Jonasson glassworks began as Maleras glassworks, which was founded in 1924 in Sweden. Folke Walwing began working at Maleras in 1924, and was art director until 1970. Mats Jonasson began working at Maleras in 1959. In 1969 he left to work at Kosta, coming back to Maleras in 1975. In 1965, Maleras became part of the Flygsfors group, and then joined the Royal Krona group in 1974. Kosta Boda took over in 1977, and in 1981, the employees of Maleras bought the company and ran it themselves. In 1988 Mats Jonasson took over the company and became managing director and cheif designer. The company is still in production today, under the name Mats Jonasson Maleras. Mats Jonasson full lead crystal glass orchid flower paperweight, signed + labelled. Mats Jonasson full lead crystal glass 'Domino' Masqot paperweight, signed + labelled. Mats Jonasson full lead crystal glass 'Thalia' Masqot paperweight, signed + labelled. Mats Jonasson full lead crystal glass 'Ideo' Masqot paperweight, signed + labelled. Mats Jonasson full lead crystal glass 'Zador' Masqot paperweight, signed + labelled. Mats Jonasson full lead crystal glass 'Kiwok' Masqot paperweight, signed + labelled. Mats Jonasson full lead crystal glass 'Morgana' Masqot paperweight, signed + labelled. Mats Jonasson full lead crystal glass 'Geno' Masqot paperweight, signed + labelled, with original base. Mats Jonasson full lead crystal glass 'Mazzai' Masqot paperweight, signed + labelled. Mats Jonasson full lead crystal glass paperweight with etched 'monkey' design, signed. Mats Jonasson glass 'Shama' Masqot paperweight, signed + labelled. Mats Jonasson full lead crystal glass paperweights with etched 'elephant' designs, signed + labelled. Mats Jonasson large full lead crystal glass paperweight with etched 'elephant' design, signed + labelled. Mats Jonasson medium full lead crystal glass paperweight with etched 'elephant' design, signed + labelled. Mats Jonasson full lead crystal glass paperweight with etched 'dolphin' design, pattern number 3523, signed and labelled. Mats Jonasson full lead crystal glass paperweight with etched 'seal' design, pattern number 3150, signed. Mats Jonasson full lead crystal glass paperweight with etched 'squirrel' design, pattern number 3280, signed. Mats Jonasson full lead crystal glass paperweight with etched 'dog' design, pattern number 3699, signed and labelled. Mats Jonasson full lead crystal glass paperweight with etched 'seal' design, signed + labelled. Mats Jonasson full lead crystal glass paperweight with etched 'chick' design, pattern number 9366, signed and labelled. Mats Jonasson full lead crystal glass paperweight with etched 'rabbit' design, signed + labelled. Mats Jonasson full lead crystal glass paperweight with etched 'bear' design, pattern number 3332, signed. Mats Jonasson full lead crystal glass paperweight with etched 'bird' design, pattern number 9203, signed. Mats Jonasson full lead crystal glass paperweight with etched 'bird' design, pattern number 9206, signed. Mats Jonasson full lead crystal glass paperweight with etched 'fox' design, pattern number 9177, signed. 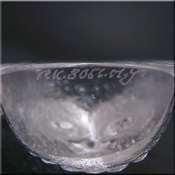 Mats Jonasson full lead crystal glass paperweight with etched 'rabbit' design, signed + labelled. Mats Jonasson full lead crystal glass paperweight with etched 'kangaroo' design, signed + labelled. Mats Jonasson full lead crystal glass paperweight with etched 'squirrel' design, pattern number 88115, from the miniature collection, signed, labelled and boxed. Mats Jonasson full lead crystal glass paperweight with etched 'duckling' design, pattern number 88120, from the miniature collection, signed + labelled. Mats Jonasson full lead crystal glass paperweight with etched 'fish' design, pattern number 88122, from the miniature collection, signed + labelled. Mats Jonasson full lead crystal glass paperweight with etched 'moose bull' design, pattern number 88130, from the miniature collection, signed, labelled and boxed. Mats Jonasson full lead crystal glass paperweight with etched 'polar bear' design, pattern number 88117, from the miniature collection, signed + labelled. Mats Jonasson full lead crystal glass paperweight with etched 'penguin' design, pattern number 88113, from the miniature collection, signed + labelled. Mats Jonasson full lead crystal glass paperweight with etched 'baby seal' design, pattern number 88100, from the miniature collection, signed + labelled. Mats Jonasson full lead crystal glass paperweight with etched 'penguin' design, pattern number 88113, from the miniature collection, signed + labelled. Mats Jonasson full lead crystal glass paperweight with etched 'swan' design, pattern number 88123, from the miniature collection, signed + labelled. Mats Jonasson full lead crystal glass paperweight with etched 'lion cub' design, pattern number 88112, from the miniature collection, signed + labelled. Mats Jonasson full lead crystal glass paperweight with etched 'owl' design, signed. Mats Jonasson full lead crystal glass paperweight with etched 'squirrel' design, signed. Mats Jonasson full lead crystal glass paperweight with etched 'cat' design, signed. Mats Jonasson full lead crystal glass paperweight with etched 'hedgehog' design, pattern number 9184, signed. 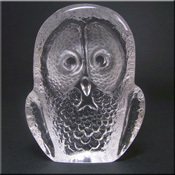 Mats Jonasson full lead crystal glass paperweight with etched 'owl' design, signed + labelled. Mats Jonasson full lead crystal glass paperweight with etched 'cat' design, pattern number 9126, signed + labelled. Mats Jonasson full lead crystal glass paperweight with etched 'dove' design, pattern number 9187, signed. Mats Jonasson full lead crystal glass paperweight with etched 'koala' design, pattern number 9175, signed. Mats Jonasson full lead crystal glass paperweight with etched 'reed warbler' design, pattern number 9367, signed. Mats Jonasson full lead crystal glass paperweight with etched 'dolphins' design, pattern number 3596, signed. Mats Jonasson full lead crystal glass paperweight with etched 'bird' design, pattern number 9203, signed + labelled. Mats Jonasson full lead crystal glass paperweight with etched 'red cardinal chicks' design, pattern number 9203, signed + labelled. Royal Krona full lead crystal glass paperweight with etched 'badger' design, by Mats Jonasson, signed. Royal Krona full lead crystal glass paperweight with etched 'seal' design, by Mats Jonasson, signed. Royal Krona full lead crystal glass paperweight with etched 'owl' design, by Mats Jonasson, signed. Royal Krona full lead crystal glass paperweight with etched 'hedgehog' design, by Mats Jonasson, signed. Royal Krona full lead crystal glass paperweight with etched 'bird' design, by Mats Jonasson, signed.